Have You Seen CINDY SLEIGH? The Gallery at Garden Street Lofts is pleased to announce its next Hoboken artist, Diane Stiglich. This will be the first show at the Gallery that will be accompanied by a book launch. These shows change every four months. Each has an opening reception where residents, neighbors, guests of the artist, and the local community join in celebration. Diane Stiglich earned her B.A. in art from the University of Texas at Dallas and M.F.A. from Mason Gross School of the Arts at Rutgers University. She has shown her paintings in numerous shows in New Jersey, New York, Pennsylvania and Texas. She has lived in Hoboken almost continuously since 1983, where she owns the Luna Rosa Home store. She is impassioned by memory and its nuances and also by how the ordinary can appear extraordinary. Diane negotiates life between the art studio, the martial arts studio, the store, the town and home, and she likes to write about them all. “Have You Seen Cindy Sleigh? and “Other Stories” is her first book. The book is published by Poets Wear Prada, a Hoboken publisher of beautifully designed volumes of well-crafted poetry and fiction. The book and the paintings in this show are about confrontation and the moment when eyes meet and it is finally decided what one will do. The animals portrayed speak to the nonverbal part in us; they evoke the anima in us. The paintings and their animals address the unspoken forces each of us carries inside – strength and weakness and the intersection between them. This work was inspired by the intensity of physical training and the complex dynamic of life in the martial arts studio. The stories in ‘Cindy Sleigh” and the associated visual art are different expressions of the same ideas. The writing can express some stories further or differently than the painting can – using memory and ‘personal mythology’ in a more progressive narrative fashion. ‘Cindy Sleigh is the untethered spirit of my physical self. 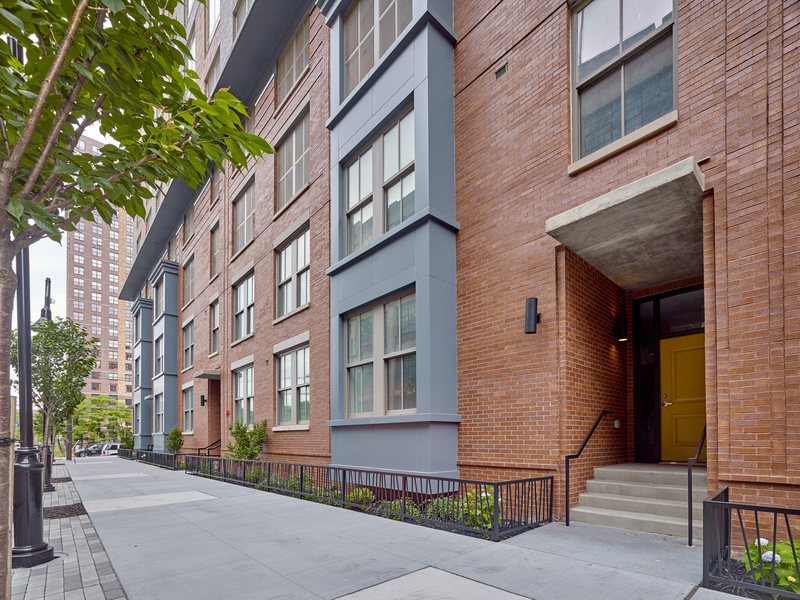 Located at 1425 Garden Street, Garden Street Lofts is a “Silver LEED Certified “green” condominium building along New Jersey’s Hudson River waterfront. The historic, 80-year-old building has been converted into 27 homes and ground floor retail space at the intersection of Garden and 14th Streets in Hoboken’s Uptown District.